Panama City: Pope Francis said on Saturday the Roman Catholic Church was weary and “wounded by her own sin,” in an apparent reference to the global sexual abuse crisis. Francis made the comment in the homily of Mass for priests, nuns, and members of Catholic lay organisations in Panama City’s newly renovated cathedral of Santa Maria Antigua, the first in mainland America, which was completed in 1716. 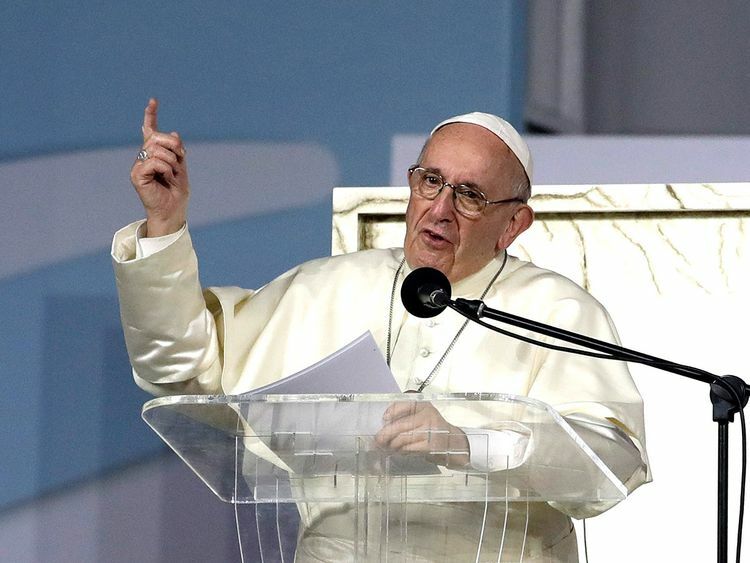 The pope, who is in Panama for a global gathering of Catholic youth, has called a summit of the heads of national Catholic churches at the Vatican from Febryart 21 to 24 to discuss what is now a global sexual abuse crisis. The February meeting offers a chance for him to respond to criticism from victims of abuse that he has stumbled in his handling of the crisis and has not done enough to make bishops accountable. In his homily, Francis spoke of “The weariness of hope [that] comes from seeing a Church wounded by her own sin” and of a Church “which so often failed to hear all those cries”. He used the words “weary,” “wearisome” or “weariness” about 20 times in the homily. Brenda Noriega, a youth minister from San Bernardino, California, who was in a delegation that had lunch with the pope, said she brought up the sexual abuse crisis in the United States. “The pope said it is a horrible crime. He reminded us that it is important to accompany the victims, to walk with them, and to be a united Church,” she told reporters afterwards. Last year was an “annus horribilis” for the pope, with abuse crises exploding in several countries, particularly Chile and the United States. Following accusations of a cover up of abuse in Chile, all 34 of the country’s bishops offered their resignations. Francis has so far accepted seven of them but has also defrocked two Chilean bishops accused of molesting minors. Last August, the Church in the United States was rocked by a damning grand jury report on the sexual abuse of children by priests in Pennsylvania over a 70-year period. Francis has urged predator priests who have sexually abused minors to turn themselves in, and has acknowledged that the Church had made serious errors in the past. Before leaving for Panama, Vatican spokesman Alessandro Gisotti said a meeting between the pope and victims of clergy abuse was not on the schedule. On past trips, however, such meetings were announced only after they took place. During the morning Mass, Francis led an elaborate service in which he consecrated the basilica’s new altar, donning a white apron over his vestments as he rubbed it down with holy oil and blessed it with incense. Relics of three Latin American saints — Saint Rosa of Lima, Saint Oscar Romero and Saint Martin de Porres — as well as a relic of Saint John Paul II, were installed in the altar. Romero, a champion of the poor, was killed by a right-wing death squad in San Salvador in 1980 and was made a saint by Pope Francis in 2018.